As U.S. hegemony fades, the dollar has become the worst currency in the world — expect, of course, for all the others. PARIS — Can we just be done with dollar? This fiscal fantasy has been a French obsession for decades. In 1964, the young finance minister and future president, Valéry Giscard d'Estaing, denounced the U.S. dollar as an "exorbitant privilege." Later, when leaders across the political spectrum agreed to create the euro, their goal, in large part, was to be more independent from the American currency. And today, as Donald Trump plunges America into isolationism, the desire to dump the dollar has gone global. "It is absurd that European companies buy European aircraft in dollars and not in euros," European Commission President Jean-Claude Juncker said in his recent State of the Union address. It was in a similar spirit that China, earlier this year, created an oil futures contract that is based, for the first time, on the yuan rather than dollar, long the standard currency for oil transactions. 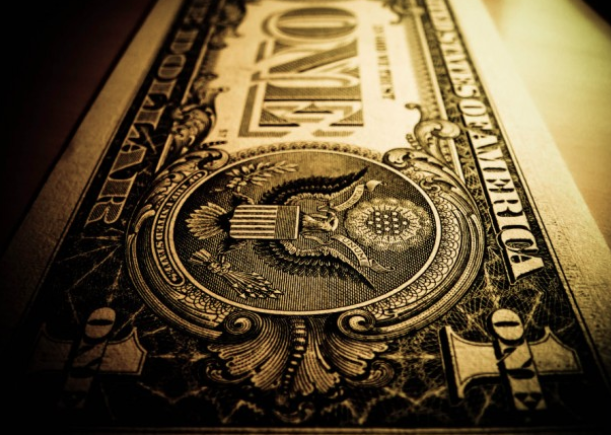 This idea that the dollar is under fire has even begun to circulate in the United States, as evidenced by comments several U.S. players made last January at the World Economic Forum in Davos, Switzerland. Larry Fink, the head of BlackRock, the world's leading asset manager, attributed the dollar crisis to the migration of investments to other currencies. On Wall Street, major players have sought to protect themselves in case the dollar begins to drop. And yet, at first glance, the end of the greenback's reign as the king of currencies seems inconceivable. It's everywhere, from how we define extreme poverty (less than $ 1.90 a day) to global billionaire rankings. Chinese loans to African nations are in dollars. Even terrorist groups deal in dollars. Why is the U.S. currency so ubiquitous? It satisfies the three missions of a powerful currency: First, it serves as a measuring instrument. Most commodities are quoted in dollars, starting with oil. Second, it is an instrument of exchange. Companies in dozens of countries settle their trade in dollars and the greenback currently accounts for 88% of transactions on the foreign exchange market. And third, it is a reserve instrument. Half of all international bonds are denominated in dollars and more than 60% of foreign exchange reserves are in the U.S. currency. Even terrorist groups deal in dollars. Unfortunately, the dollar is also used as an instrument of blackmail, which is why some are saying enough is enough. Indeed, U.S. authorities have been using the dollar — in the form of massive fines — as a way to attack European companies for doing business in countries sanctioned by Washington. In that sense, the dollar has become a means of intimidation. When Donald Trump pulled the United States out of the Iran nuclear deal, Washington made it clear to foreign multinationals that if they continue to work with Tehran, they'll punished. This new threat has infuriated Europe's public and private-sector leaders. Brussels responded by cobbling together a barter platform that allows firms in the Old Continent to continue working in Iran without going through the dollar and without, therefore, risking American punishment. This is only the beginning. In the coming years, many European and Asian companies will scrutinize their cash and billing to limit their risk of fiscal confrontations with the United States. In a world where American preeminence is fading, the monetary order will also change. "The euro must become the active instrument of the new European sovereignty," says Juncker. The real fight, however, won't be over the currency used in accounts or exchange, but in reserves. That's where the money is really amassed. It's also where the role of trust is the greatest, because what's at stake are savings. A reserve currency shouldn't, of course, last forever. This is the so-called Triffin Paradox, named after a Belgian economist who sounded the alarm, 60 years ago, on the dollar. For a particular national currency to become the global reserve currency, the country that issues it must sell more assets than it buys. In other words, it must have a permanent trade deficit (which the United States has been trying to do for decades). But these deficits, then, result in an external debt, which inevitably ends up worrying lenders. In addition, the weight of the United States in the world economy is decreasing — it has fallen by more than a third in 40 years. In the meantime, Trump has allowed for an even greater budget deficit, another cause for concern among investors, and enacted a protectionist trade policy that may push certain countries to reduce their purchases of dollar-based assets. Yes, the dollar is indeed exorbitant, not to mention infuriating. Still, investors have to invest their money somewhere. And as Patrick Artus, chief economist of the bank Natixis, observes: "Other currencies don't offer a unified, liquid and large bond market." In Europe, the financial market is fragmented and its currency politically fragile. And China, for all its growth, is still not a key player when it comes to finance. As economist Barry Eichengreen explained in his 2010 book Exorbitant Privilege: The Rise and Fall of the Dollar and the Future of the International Monetary System, the dollar is the dominant currency of the world because it has no real rival. Nearly a decade later, this is still the case, and it may remain so for a long time. Yes, the dollar is indeed exorbitant, not to mention infuriating. But it also seems we're stuck with it, at least for the foreseeable future.